Americans are incredibly generous. We will likely give away more than $400 billion in 2019. However, being generous only goes so far. We also need to be smart about how we give away our hard-earned dollars. 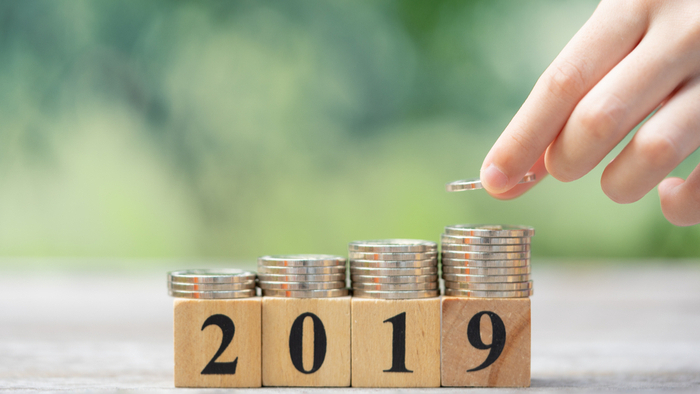 Whether you plan to donate $5,000 or $5 million in 2019, making these four resolutions will help you do more good in the world. Why does evidence matter to philanthropy? What is giving evidence? Caroline Fiennes, Director of Giving Evidence, discusses the importance of measuring philanthropic efforts. Making a one-time donation during a crisis is good. Consistent regular giving over the long term to help stop crises before they start is even better. Some of the heart-wrenching events that spurred donors to give this past year could have been prevented – or at the very least, their scope and gravity diminished – if communities and organizations in the frontlines had the resources to stop and respond to bad policies and practices. For example, when the Department of Health and Human Services began holding small children in detention centers at the border in June, many people were shocked and concerned. Americans donated $30 million just to one organization on the border that was working on the issue. It was an incredible outpouring of support. But migration rates across the globe are higher than they have been since World War II, whether because of conflict, famine or natural disasters. The U.S. is a beacon of hope to many around the world, and the country will need to continue to step up to meet the global migration challenge. Donors who were horrified at families separated at the border need to provide long-term funding for groups that fight to protect civil and human rights, including those of immigrant and refugee communities. Not only do these organizations rely on resources to build up power to stop abhorrent policies in the first place, they provide essential support and services to affected vulnerable people. Smart donors in 2019 will resolve to fund systemic solutions and not just give to address the symptoms of the problems. After every hurricane, wildfire or flood, Americans dig deep and give generously to recovery efforts. When we see people hungry or homeless, we are moved to donate. This compassion we feel for others is admirable. The smartest donors, however, take it up a notch. They try to understand what is causing these problems and donate to groups working to address the root causes. In the case of wildfires, floods and hurricanes, that means donating to groups dedicated to identifying new ways to mitigate the impacts of climate change. In the case of poverty, the truth is that for many Americans social mobility is quite limited. Race, gender and many other factors limit the opportunities we have in life. Many donors are realizing they need to think about these issues and promote equity if they want to see all people in our communities thrive. By funding efforts to find solutions to the social, economic and environmental problems, donors can put their dollars towards ending one catastrophic cycle after another. Government funding dwarfs philanthropic giving on every single issue that donors care about. For example, philanthropists gave $57 billion in 2015 for education, and government funding for education that year was $668 billion. That’s why smart donors leverage their limited dollars by funding advocacy, community organizing and work to change public policies. Research by the National Committee for Responsive Philanthropy shows that for every dollar foundations and other donors put into this kind of work, communities see $115 in returns. These benefits come in various forms such as new or more efficient and effective government programs, or new public revenue sources. Successful public policy campaigns are typically carried out in concert by professionalized advocacy organizations, groups that work through the courts, and scrappy community organizing nonprofits. The latter is typically the most under-funded. Savvy donors will resolve to fund community organizing in 2019. These are urgent times, and the needs of our communities are great. Hate crimes have increased for three years in a row. Several states have passed laws that make it harder for people to vote, and such laws have been proposed in dozens of others. The Supreme Court might roll back civil rights for women, African-Americans and LGBTQ people. And our changing climate is putting more and more people in the path of devastating storms and other natural disasters. Increase the amount you give in 2019 if you can. And if you use donor-advised funds or private foundations as part of your giving strategy, now is the time to move more money out of these giving vehicles and get it into the hands of the groups doing the most good. Make 2019 the year to boost the positive impact of your philanthropy. Original contribution by Aaron Dorfman, President and CEO of the National Committee for Responsive Philanthropy, a national research and advocacy organization dedicated to improving the practice of philanthropy. Follow @NCRP on Twitter. If you are interested in Advocacy and Policy, please see these relevant events, training, conferences or volunteering opportunities the Giving Compass team recommends.